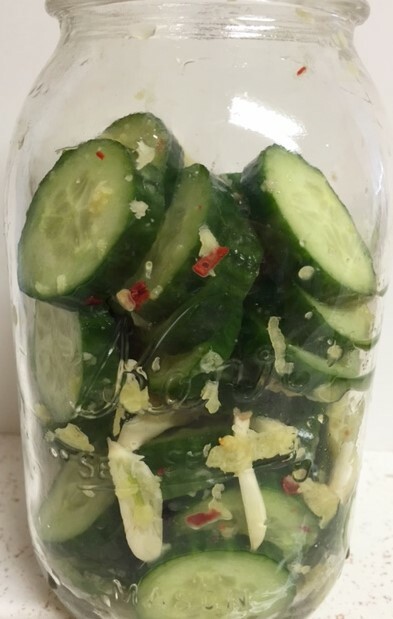 Asian Ginger Garlic Pickled Cucumbers…..
Are you a pickle person? I am not a huge fan, myself. But I do like the Japanese pickled vegetables I grew up on. 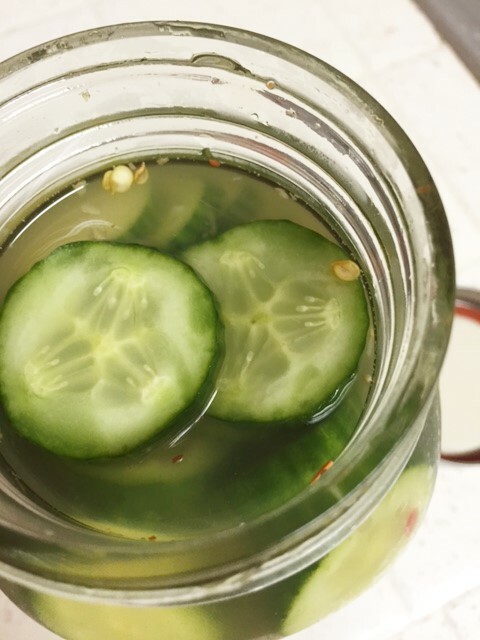 Japanese pickles are usually not vinegar based. I am not a huge fan of vinegar pickled veggies. However, I do have a recipe I have used for years, that everyone always requested. I kinda forgot about it until recently. 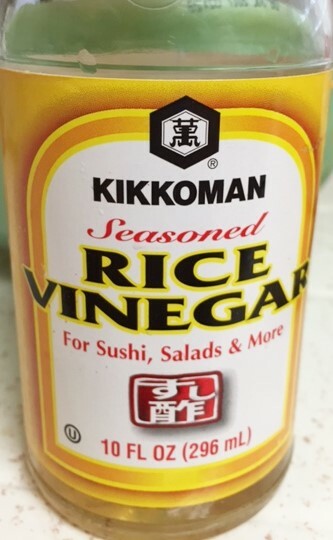 It does have rice vinegar, but they are delicious. You can’t stop eating them…they are so good. They are great on a sandwich, good served with fish, in a salad or just a great snack. My original recipe doesn’t have garlic. But I decided to throw in some garlic this time and I think I like them better this way. Lets make pickles. 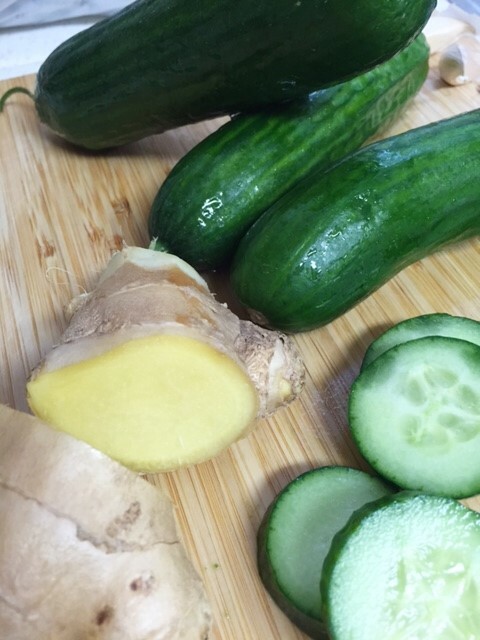 you can also use a Hot house or English cucumber. 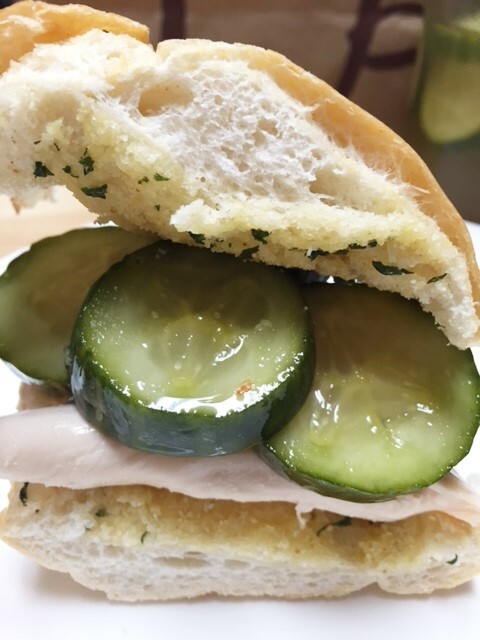 You don’t want to use a regular salad cucumber. It will get all mushy and who wants a soggy pickle! In a small saucepan, heat the water to boiling. Remove from heat and add the rice vinegar, sugar and salt. Set aside. 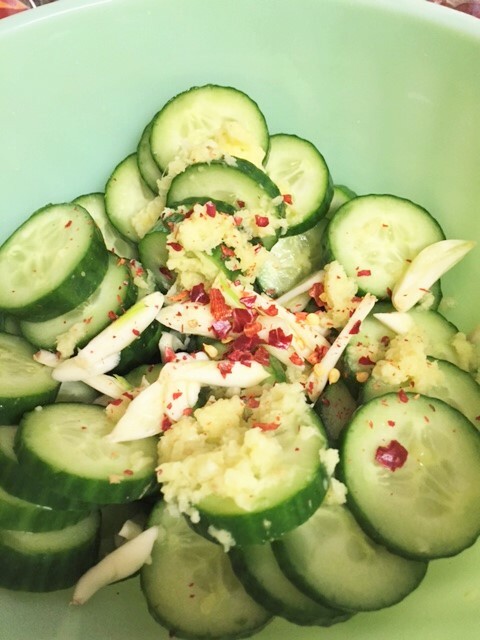 Slice the cucumbers into thin slices. Throw them into a good size jar with the garlic halves, crushed red pepper and the ginger. 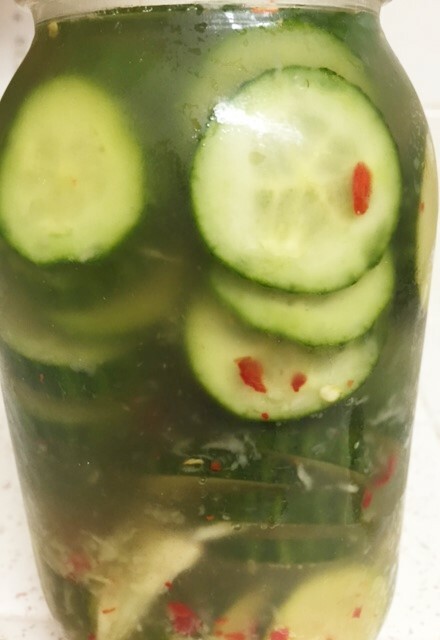 Pour the vinegar/water mixture over the cucumber mixture. Put the lid on and give it a good shake. Chill for at least an hour, but if you can wait, 2 hours is better. 4 hours is even better! yes Patrice, we used to have them all the time! you will love these.